Global Pop Sensation BTS drop New Album "LOVE YOURSELF: 'Her'" | Watch Music Video for "DNA"
Korean pop sensation BTS (Rap Monster, Jin, Jimin, Jungkook, Suga, J-Hope and V) are revealing their view of LOVE through photos and music in this collection. 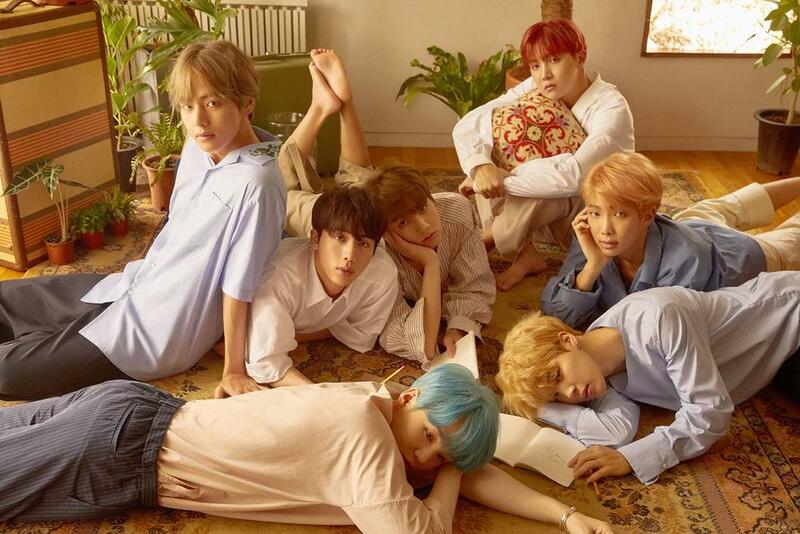 Their new album “LOVE YOURSELF: ‘Her’” announces the beginning of BTS new “LOVE YOURSELF” series and contains new images of BTS using LOVE as the theme depicting new and first time relationships. “LOVE YOURSELF: ‘Her’” consists of eleven new songs and skits and two hidden tracks, showcasing BTS’ expanded musical explorations into new genres including EDM, Disco, Synth Punk along with their signature sounds. BTS’ album is already buzzing across the world, breaking new album sale records with the 1.05 million pre-orders. Previous BTS releases have infiltrated the Billboard 200 four times ranking at 26, the highest chart number for any KPOP artist. Now with physical product being made available for the first time through Amazon, expectations are high for “LOVE YOURSELF: ‘Her’” entering the charts. Get “LOVE YOURSELF: ‘Her’” on Spotify & iTunes.